For those who have followed the Nigerian music industry closely for years, the name Ajayi Brovas will definitely ring a bell. Ajayi Brovas are not new in the industry their career goes as far back 2006 when they pitched tent with Coded Tunes clique before they were signed on by Alapomeji Records in 2008 as a recording artiste and backup artiste for 9ice . Both graduate of University of Ilorin, their major solo release are ‘Little Mama’ feat. 9ice in 2008, and it’s video was directed by Clarence Peters and Gbodowa in 2010 with an accompanying Sesan directed music video. Its 2013, and the Ajayi Brovas are back, better and stronger under SBW Ent. 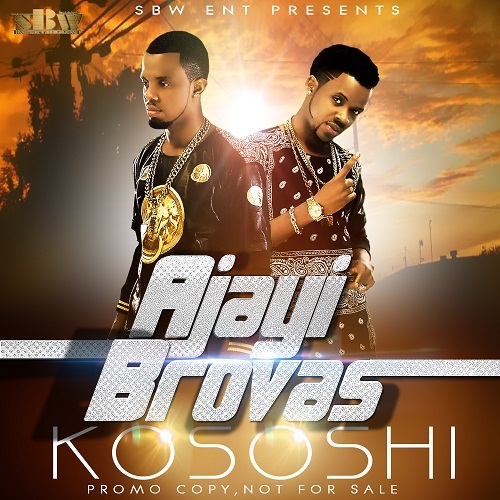 with a brand new smashing single titled ‘Kososhi’ produced by Cheepho.